This four painting set is now available in my etsy shop. Find it HERE. 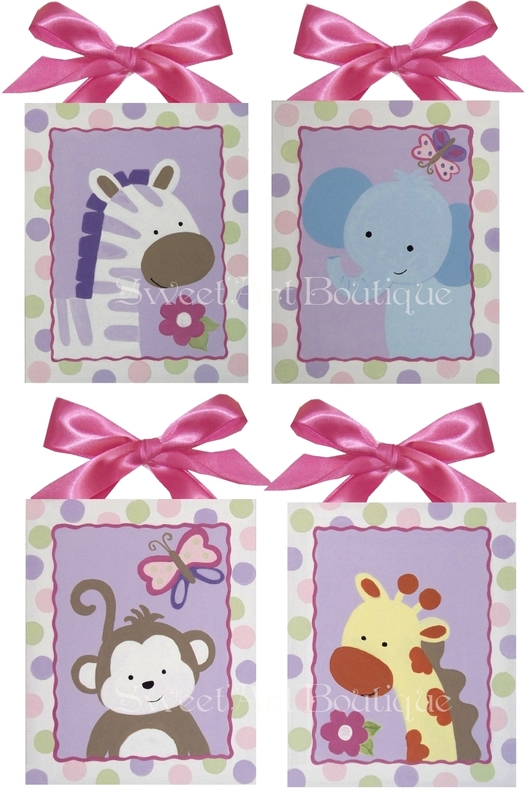 This set includes four 8x10's hand painted onto 1/8 inch thick flat canvas panel with satin ribbon hangers. This set can be customized to fit any color combination and will coordinate nicely with lots of bedding sets and nursery decor.